Whether your insurance company is planning for a website refresh or an entire redesign, it can be a time consuming process, that if not well executed, can leave you right where you started. Avoiding this largely depends on how prepared your team is and if you follow the right steps that will lead you to success. There are a lot of different aspects to a website redesign that you may not be considering, that are crucial to the success of the website. Research shows that prospects have made about 60% of their buying decision before talking to a sales representative. This is because buyers are shopping around online, which is why it is so important to put your best foot forward when it comes to your company’s website as it functions as your always-on salesperson. In this blog post, we will discuss how to make the process a success, including different elements to consider that may be hindering your redesign. Deciding to redesign your website should not be a decision that is made in one day. This is something that takes a lot of time, effort, and valuable company resources to complete. It is important to find a concrete problem with your website first and then make a strategic plan on how you want to go about fixing that problem. 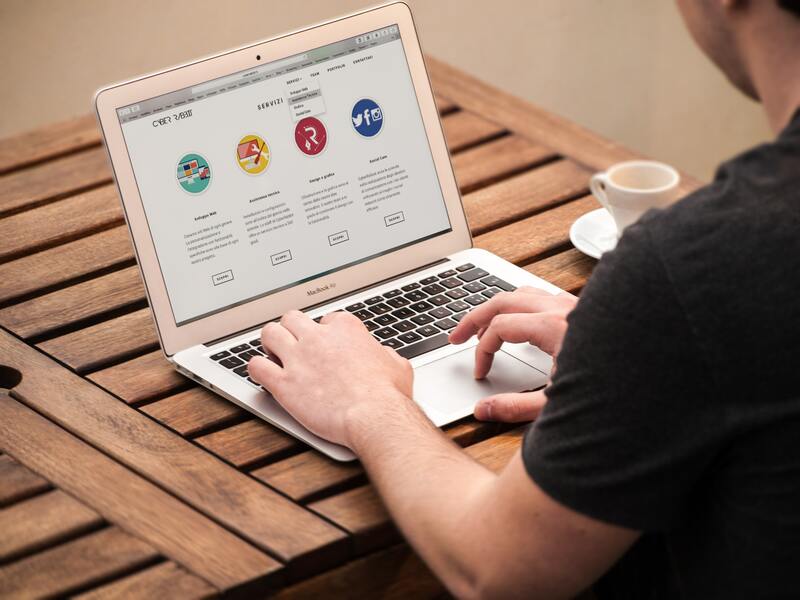 By evaluating your website extensively beforehand, you may realize there are only minor issues that can be addressed in a small refresh, as opposed to an entire site revamp. Knowing your goals early in the process will allow you to determine if you're redesigning for the right reasons and not wasting those valuable company resources. Your website should sell your company to the consumer, but it should do so in a way that is an extension of your marketing and sales team. It is not just a place to talk about your company, but a place where you can address all your potential customers’ questions, which will hopefully lead them to taking action on your site. By designing your site around buyer personas, your visitors will be inclined to spend more time on your site and want to take action, such as filling out a request form or downloading an ebook. Also, by analyzing data from your site, you’ll be making certain you’re actually changing problem areas, and not something that is already working. The number one thing that you should be working on for your site is its functionality so that when someone visits your site, all functions are working properly. You should not let aesthetics take a more important role than the functionality of your site. Of course, we all want our sites to look good, but if nothing works and your visitors leave your site, then your redesign would have been a waste of resources. It is important to find a happy medium between everything looking good and working at the same time. Yes, a website redesign is a huge project that requires a lot of attention. But it is important to keep the team small and diverse. When you have too many people on the team, it is hard to make decisions because everyone may want something different, or have different priorities. The site needs to be designed and structured for the consumers’ usability, not based on personal preferences from the team. Redesigning a website, or even creating a new website from scratch, is a large undertaking, but by considering the elements above, you’ll be leading your team to success and have a clear purpose in mind. Let's chat and put the Hult Team’s experience to work for you. Feel free to reach me at 309-673-8191 or jflynn@hultmarketing.com, and together, we can grow your insurance Brand.